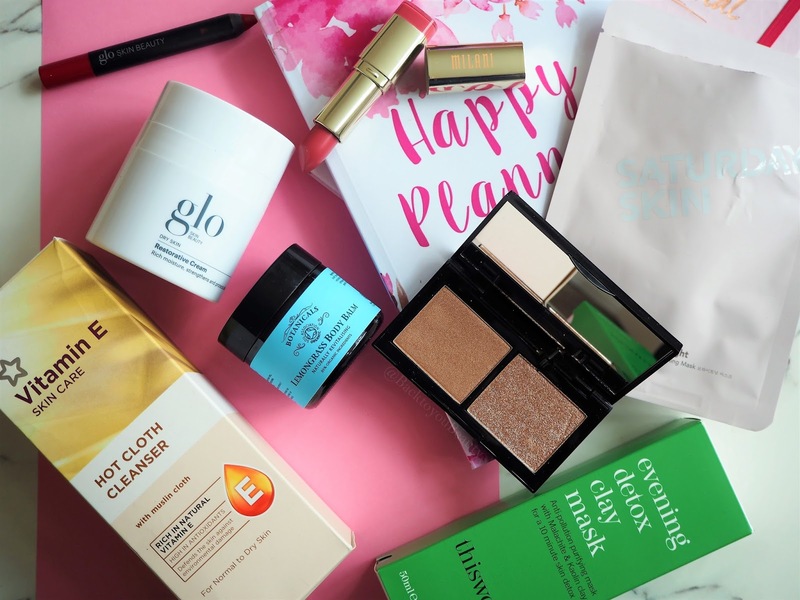 As a beauty blogger I am lucky enough to receive many products from PR companies . Obviously I also buy waaaaay too many products myself, but hey, that’s what this blog is all about. I share with you the products I like and may not like so much. Sometimes I receive products that I just cannot dedicate a whole page of blog too, but they are still products I want to share with you. Last month I did this exact same post HERE and it was so popular that I am going to make it a monthly thing. So, here are some of the PR products I received in February. This sheet mask is without a doubt one of the best I have tried in a long time. If you want immediate brightening, in a hurry, before a special event or evening event, I can highly recommend this. I purchased this from Cult Beauty as I was intrigued by the brand and I have to say it was the best £4.50 I have spent. Saturday Skin believe our skin should look as great as we feel after a fun night, fabulous Saturday morning lie in, and waking feeling refreshed, revitalised and happy. 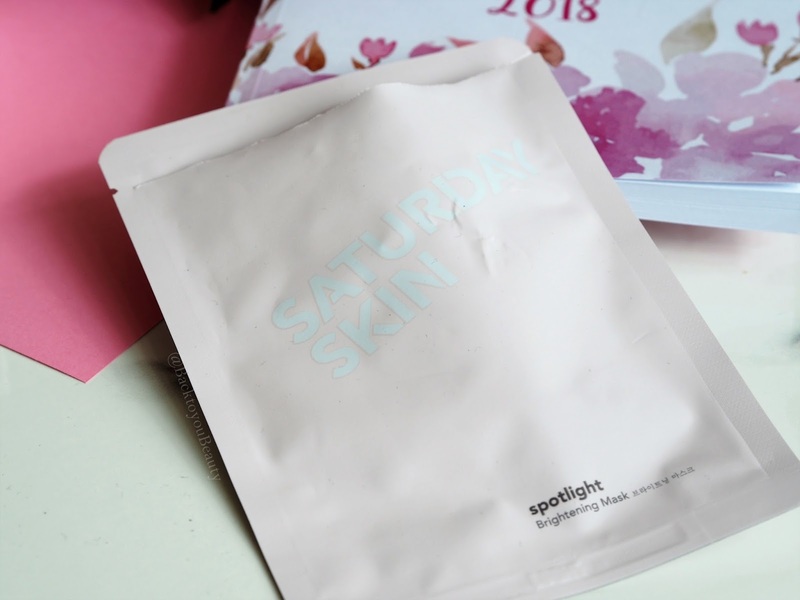 This sheet mask is the same to apply as all others of its kind, after cleansing and toning, feels incredibly cold and wet on application, but adheres to the skin perfectly where you leave it for 20 minutes whilst you relax and get up to something else. Full of Bilberry, Liquorice and Lotus extract, I was amazed at how immediately bright and radiant my skin looked after I took the mask off and for hours after. Perfect for anyone struggling with age spots, dull skin, and loss of hydration, it is the must have pick me up before a night out and fyi…..make up sits beautifully on the skin after. My absolute must have! This product was sent to me in PR as a ‘Dupe’ for Liz Earle cleanse and polish. Now, whilst I am not all that fussed whether something is a dupe or not, if it works, is great at what it does AND is good value, then of course I am all over it. Suitable for vegetarians and vegans and perfect for normal to dry skin types, this Vitamin E rich cleanser is great at easily removing dirt, make up and grime form the skin. Included in the box is a 200ml tube of product and a white muslin cloth which is great value at £4.99 (at the time of writing). 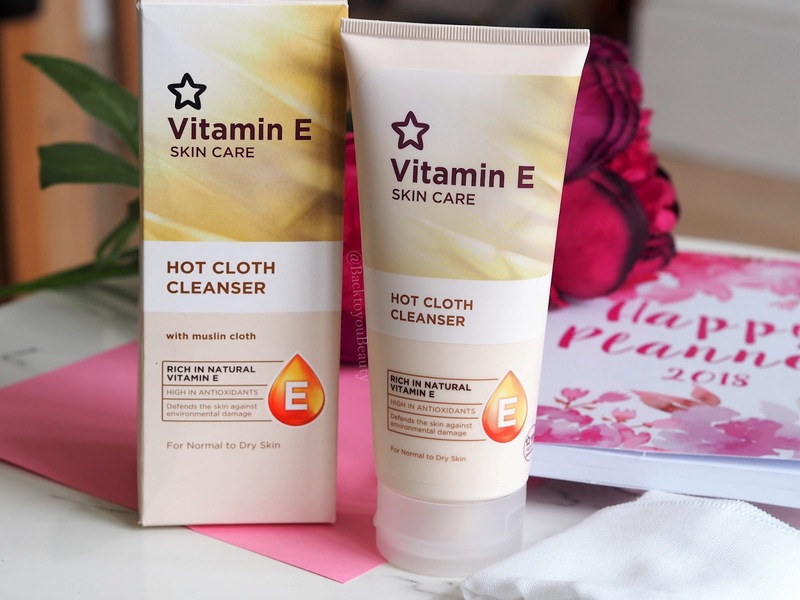 Enriched with naturally sourced Vitamin E this hot cloth cleanser feels lovely and creamy, with a great slip factor, when applied to the skin and works quick and easy over the contours of the face. The muslin cloth then creates a gentle exfoliating action as you wipe the product off with warm water. Vitamins A, B, F and H plus Horse Chestnut care for dry skin, whilst the powerful antioxidants shield the skin from environmental factors and protect it from the effects of free radicals. Deffo worth your fiver! Glo Skin Beauty is a Peta approved mineral make up and skincare brand. The brand provide professional salon treatments, combined with homecare products to achieve outstanding results. A product that I have been all over testing and loving since January is the dry skin Restorative Cream. The formula of this product is just beautiful. When you pump out a measured dose from the airtight pump, you get a lovely and rich cream that reminds me of a vanilla double cream haha! It smells fresh and uplifting due to the botanical ingredients and literally drip feeds the skin all day long. Even though the product feels rich, it melts into the face, neck and décolleté upon application and leaves the skin glowing with hydration. I am so happy I have found this brand, especially during these past few wintry months. Very excited to try the serum too so make sure you look this brand up. A brand that I used to feature often on the blog HERE , is Botanicals. They do some of my absolute favourite serums and bath product’s and this body balm is just as wonderful. You know I love those more organic, hand made in small batches type brands and this is one of them. Plus lemongrass is a scent that I am addicted too so on paper this seemed like a win, win product. 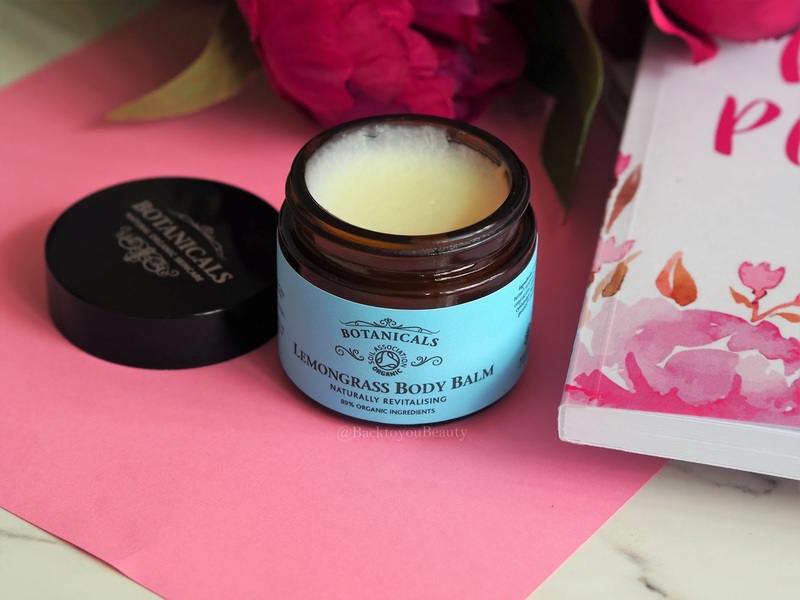 Firstly, the balm only smells ever so slightly of Lemongrass which I personally was a little disappointed over, however, if you do not like highly scented body products, then you will enjoy this. Secondly, I would not suggest going for this smaller 60g pot as it is hard to dig out enough product to apply all over your body as the opening to the pot is quite small. All of that being said, when you do get the body balm out, it quite literally melts onto the skin after a warm bath or shower and leaves your skin feeling soft, supple, hydrated and toned. A lovely product to use on targeted areas too, such as stretch marks and dry patches as it is really easy to massage and work into the skin. 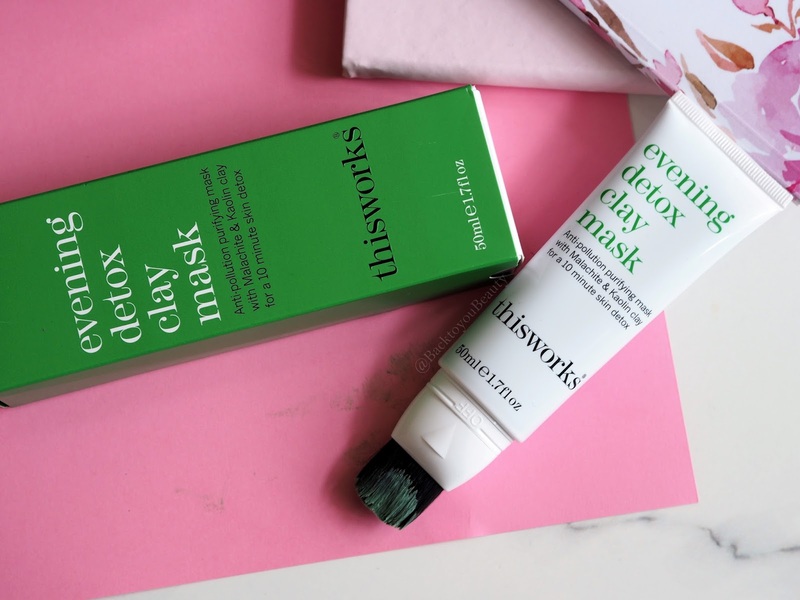 Not the type of mask I usually like to use due to the fact that I no longer suffer breakouts, is a detox clay mask. However, as it was from a brand I know and love, I really wanted to try this PR Sample on your behalf. What I wasn’t prepared for was a) how much I enjoyed using it and b) how bright and smooth my skin looked after. This new product from This Works is perfect for any skin types that struggle with clogged pores, or are exposed to pollutants ( cigarette smoke, car fumes, smog, dust etc) on a daily basis. Containing Malachite and Kaolin clay, this is perfect when used for ten minutes, three times per week at the end of your day after cleansing. 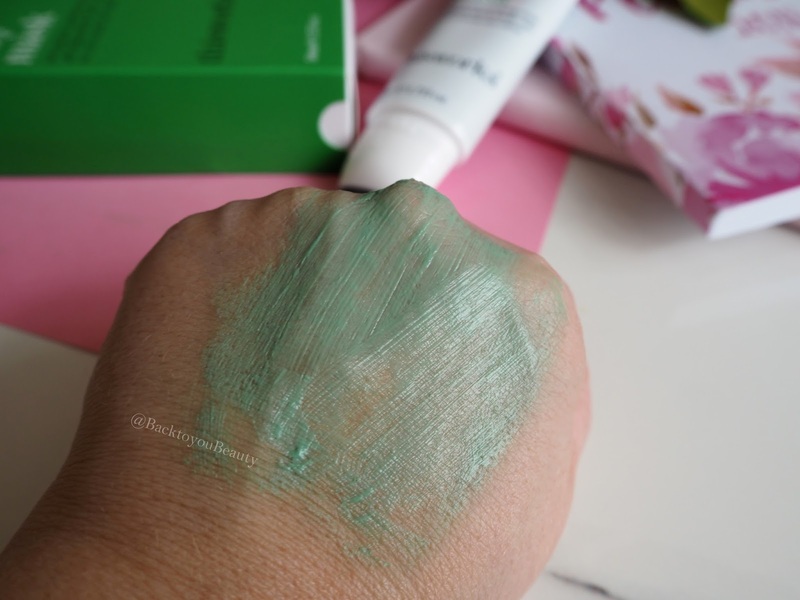 Containing fruit acids-which my skin loves-and natural botanicals, they work together with the Kaolin Clay to absorb excess oil and impurities and the precious mineral extract Malachite helps detoxify and protect the skin from the elements. After applying, whether to the whole face or specific areas, with the genius charcoal brush head that means no more messy application, you may feel a slight tingle and cooling sensation as the fruit acids get to work. A thin, even layer is all that is needed for this mask to work deep down into the skin. It does dry down a little, but is easy to remove with warm water and then pat dry. I think this would be perfect for a more oily or combo skin that struggles with open pores, breakouts and lacklustre skin. Always patch test. Another Milani product that I am obsessed with is this gorgeous Matte lipstick in shade Matte Darling. 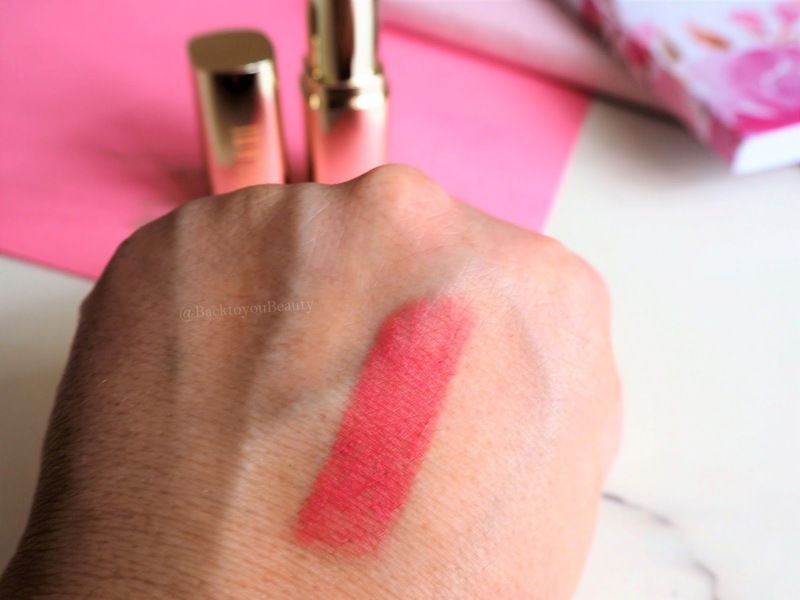 This incredible value lipstick not only looks very glamourous with its gold style packaging, but is also an incredibly flattering and creamy matte shade. 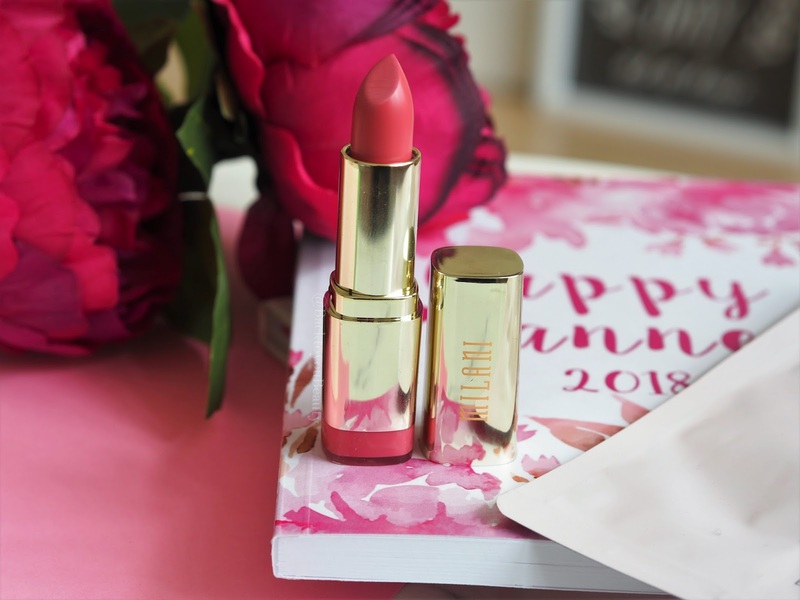 Infused with grape seed extract imported from Italy, where many amazing lipsticks are created, this smear proof lipstick offers a beautifully opaque shade of pretty pink, which lasts all day. One of my current favourite colours and matte lipsticks which I highly recommend. Can you tell I love my mattes? I just think they when they are done well, they work beautifully on everyone. This Suede Matte Crayon from Glo Skin Beauty does just that. In a gorgeous deep red, which is one of my favourite shades, this actually reminds me a lot of a more expensive Mac product. 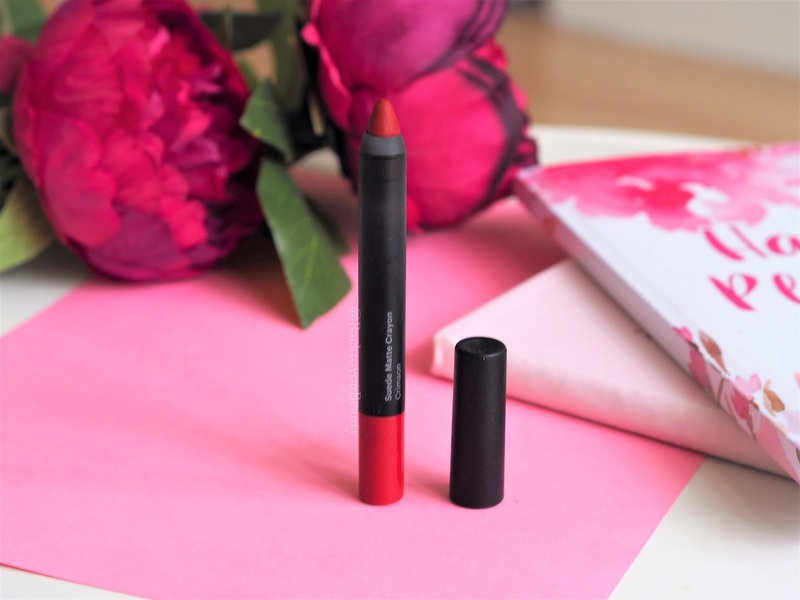 This convenient crayon glides effortlessly across the lips laying down a deeply pigmented, yet highly moisturised layer of colour that gives that perfect matte look without leading to dry, cracked lips. It does contain peppermint so look out for that cooling sensation and slight peppermint smell but it is not off putting for me in anyway. As one of the original queens of the highlighter, Laura Geller has the gift to create the most beautiful, ethereal glows quite unlike anyone else. This product is so on the down low that I have no idea why as I want to scream about it from the roof tops. 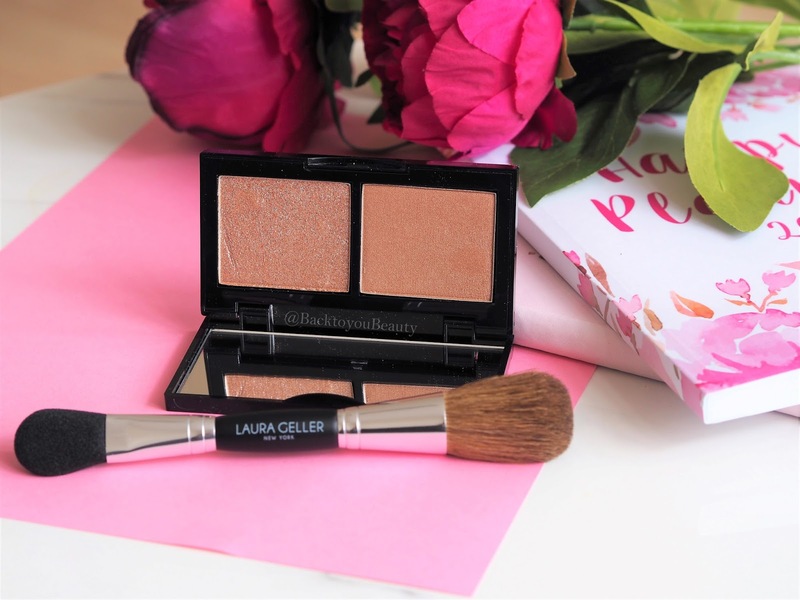 Laura Geller Hi-Def-Glow illuminator duo in Bed of Roses is the most beautiful, almost wet look highlighter that I think would look stunning on dark skin tones. There is no glitter, no sharp pieces just dreamy, creamy, powders that adhere to the skin beautifully, creating the most effortless glow. For me, this is going to be my summer must have and I cannot wait! Leighton Denny Springs into colour…..
"It Cosmetics TSV – IT Cosmetics 4 Piece CC+ Your Most Radiant Skin Collection"
Ooh I love your selections this month! I want to comment on them all, but would be here all afternoon!I love natural, organic, hand-made-in-small-batches type brands like Botanicals! I like gently scented body products. I would definitely use a spatula to get all of the product out. Only 60g pot would be a good tester, but if I did like this, I would hope they do a 150/200g in due course. I would love to try the other items, except for the lip pencil, which is a bit too bold red for me.Great blog Sharon!Thank you! 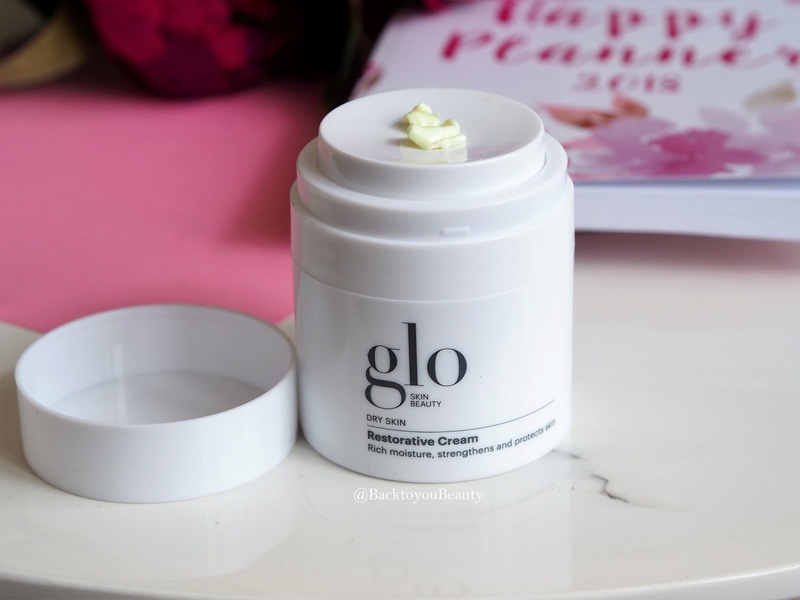 I’m trying some Glo Beauty right now too!